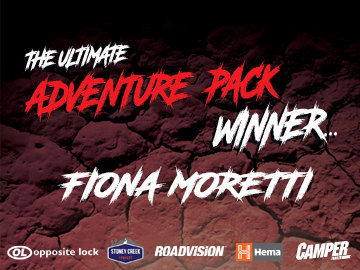 We are pleased to announce Fiona Moretti from Brunswick, Victoria, has won the 2018 Opposite Lock Ultimate Adventure Pack. Fiona could not be any more pleased with her new Camper Nugget SF, HX-1, Roadvision Lighting Kit and Camper Magazines. As soon as we told her, she started planning her next adventure. She'll be hitting the road in the summer holidays, after her work as a primary school teacher is over for the year. The competition was a great success, drawing over 10,300 entries in total. It was a hit at trade shows, where attendees got a look at the new Stoney Creek Nugget SF. 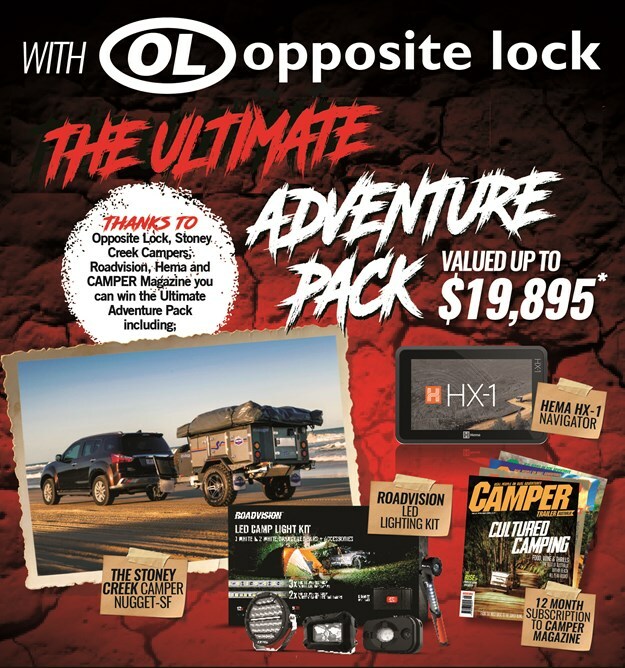 Store promotions from Opposite Lock and Stoney Creek, alongside the promotion of the competition throughout Camper Trailer Australia, Caravan World and Outdoor Magazines, ensured such a huge group of keen campers was in the running.